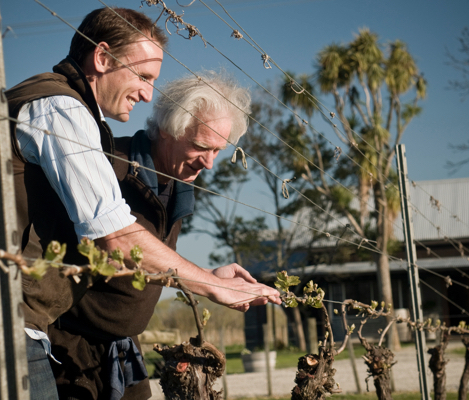 The Matawhero journey started with two New Zealand wine pioneers from the 1960s. 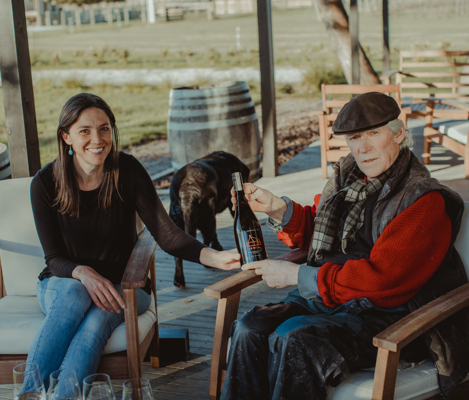 Today the story continues around the drive and determination of Kirsten and Richard Searle, who have continued to develop the iconic winery and share the distinctive wine styles of the Gisborne region. The Matawhero winery and vineyards were purchased by Kirsten and Richard Searle in 2008 from New Zealand pioneer winemaker Denis Irwin. After a rigorous process on Denis’s part to ensure that the baton was being passed to someone equally as passionate about wine and the region as he was, he willed us on and the hard work began replanting and revitalising the historic winery. Their love of the region runs deep, Richard grew up here and with a family history of growing grapes they wouldn’t want to be doing anything else! Matawhero has a colourful history that underpins our journey so far. 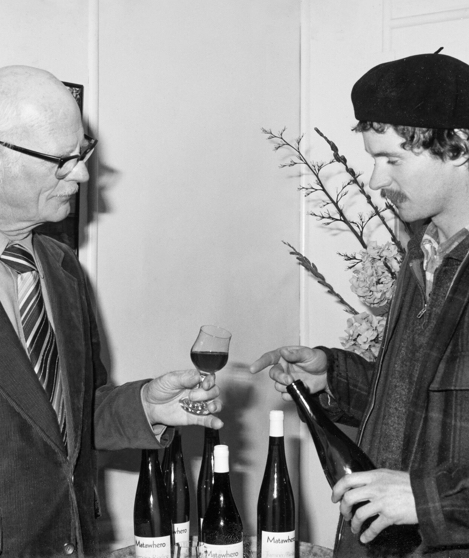 Our first vintage in 1975 under the watch of Bill and Denis Irwin put New Zealand on the world wine map with a reputation for rebellious and flamboyant flavours and varietals. Son Denis imparted his own colourful style and won fame for his Gewurztraminer and Chardonnays – everyone was drinking it, even the Queen!